A. S. A. Harrison’s The Silent Wife explores the dynamics of a marriage on the rocks. It is a treasure trove of examples of writing techniques that aren’t often used in novels. Although most novels are written in the past tense, Harrison writes The Silent Wife in the present tense. The dog, a golden retriever with a silky blond coat, sits at her feet as she works at the cutting board. Does it work? Yes. It doesn’t take long to adjust to the change and it gives the book a sense of immediacy. By definition, thrillers reveal the killer/antagonist early on in the book. In this case the author states flat out in the second paragraph that the protagonist is going to kill her husband. This is an example of prolepsis, or telling the reader from the start what is going to happen. Does it work? Believe it or not, the book remains suspenseful regardless of the early reveal. We wonder whether she’ll actually do it, how it happens, and whether she’ll get caught. A twist at the end keeps the reader on tenterhooks the entire time. One way Harrison is able to pull off the prolepsis is because her protagonist, Jodi, is an unreliable narrator. Normally I’m not a big fan of full-blown unreliable narrators, but this one is mild. She withholds information and shows signs of psychological weakness, but she isn’t a bad person. For example, she says she’s married, but we soon learn she and her partner have lived together for twenty years without getting married. Looking at her routines, we see evidence of an obsessive-compulsive disorder, but she is still functioning fairly well. Her worst defect is her memory issues. She seems to forget many things rather than dealing with them. The main antagonist is Jodi’s partner, Todd. He lies, he cheats, and when he gets a much-younger woman pregnant, he doesn’t tell Jodi he’s moving out until the last moment. He gives Jodi plenty of motive to kill him. The novel flips between the point of view of these two characters so we can see that Todd is also crumbling under the stress of his actions. The dialogue in this book is incredibly sparse. Pages and pages go by without a single conversation. What little dialogue there is occurs mostly in the sections told from Todd’s point of view. Jodi speaks very little, partially because she is alone a lot, but also because she uses her silence to control herself and others (hence the title of the book, as Karen explains in her review.) Her conversations are short and clipped down to the essential conflict. Limited dialogue is a technique I’d love to learn because I tend to try to carry too much of the plot through conversations. Although writing books suggest breaking up narrative with blocks of dialogue is good because it speeds up the pace, in this case the density of the narrative doesn’t slow things down. The pace remains tight and quick, regardless. 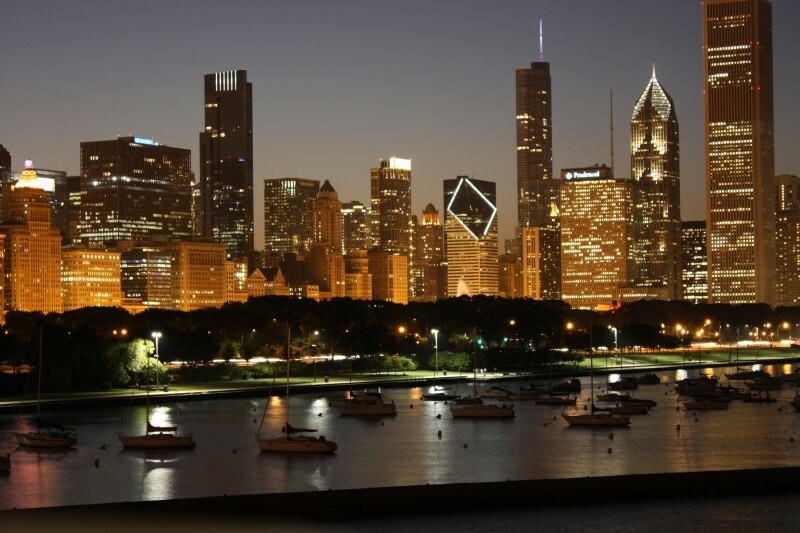 The novel is set in the city of Chicago. Most of the action takes place in a high rise apartment along the shore of lake Michigan. Her descriptions were good, but the novel could have been set in any city, or almost anywhere for that matter. A. S. A. Harrison’s The Silent Wife breaks the thriller mold with some less-commonly-used techniques, but still has the reader guessing what’s going on until the very end. It is exceptionally well written for a debut novel. Sadly, we can’t find out what more she had to offer, because the author passed away shortly after it came out. Have you read The Silent Wife by A. S. A. Harrison? We’d love to hear your thoughts. Sadly, this psychological thriller is both A. S. A. (Angela Susan Ann) Harrison’s first and last novel. She passed away shortly after it came out. Summary: The Silent Wife is explores the dynamics of a marriage on the rocks. Have you written about The Silent Wife by A. S. A. Harrison? Feel free to add a link to the comments below. 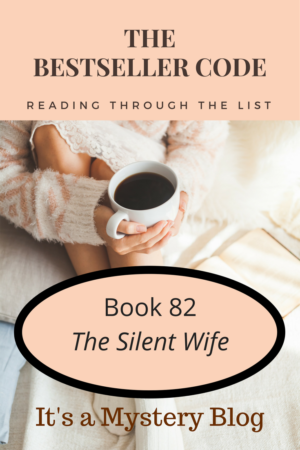 Today we’re looking forward to starting the next book in The Bestseller Code 100 challenge, The Silent Wife by A. S. A. Harrison for Book Beginnings on Fridays. It’s early in September. Jodi Brett is in her kitchen, making dinner. Wow, what a soft, low key beginning.The first sentence was so brief I added the second. It does give the when and who right away, because Jodi Brett and her husband Todd are the main characters. The first two sentences may not be much of a hook, but I do like that the author has given us a lot of information with just a few spare words.